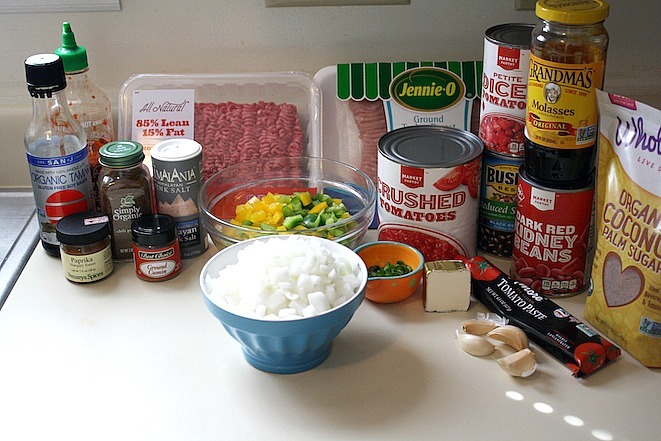 Your kitchen is about to smell amazing with this Ultimate Chili recipe, so here’s what you’ll need: Sriracha, Tamari, Paprika, Chili Powder, Cumin, Sea Salt, 85/15 Ground Beef (1 pound), Extra-Lean Ground Turkey (1 pound), 2 Bell Peppers (Yellow & Green) diced, 1 White Onion diced, 1 Jalapeño diced, 28 ounce can Crushed Tomatoes, 15 oz can Diced Tomatoes, 1 can Black Beans, 1 can Kidney Beans, Molasses, Coconut Sugar, 2 tablespoons Vegan Butter, Tomato Paste, and 4-5 Garlic Cloves (depending on size). 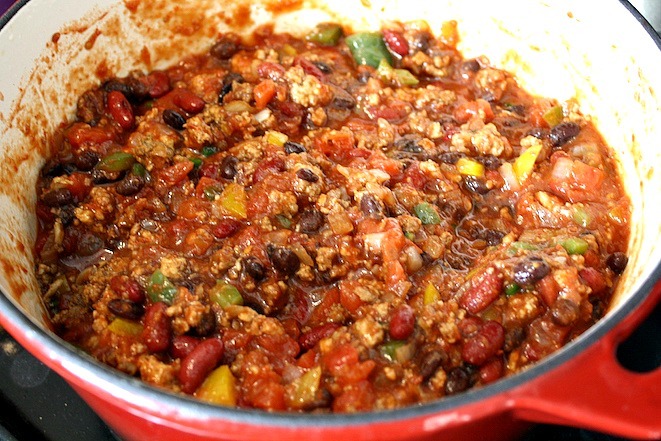 Before you get started go ahead and chop up your veggies, so you can throw your Ultimate Chili together! 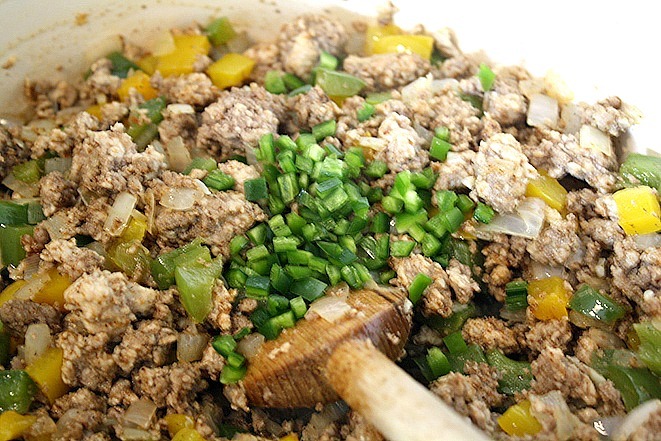 Heat a large pot over medium-high heat and then add the ground beef and ground turkey to the pan. 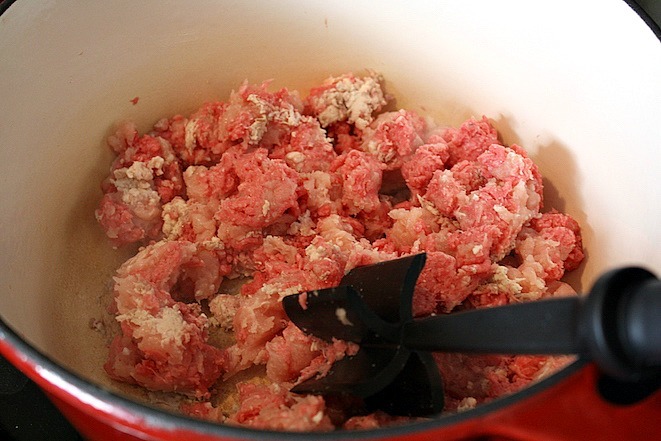 Begin breaking up the meat into chunks and then cook it for about 10-12 minutes or until the meat has browned. 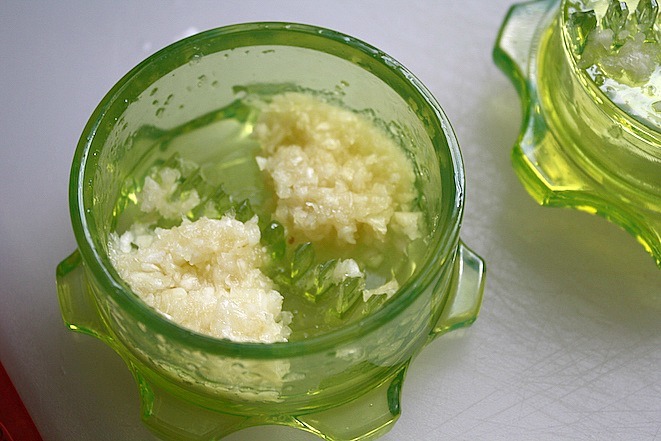 While the meat is cooking, go ahead and mince the garlic, and yes this garlic twist rocks, because it’s fast and mess free! 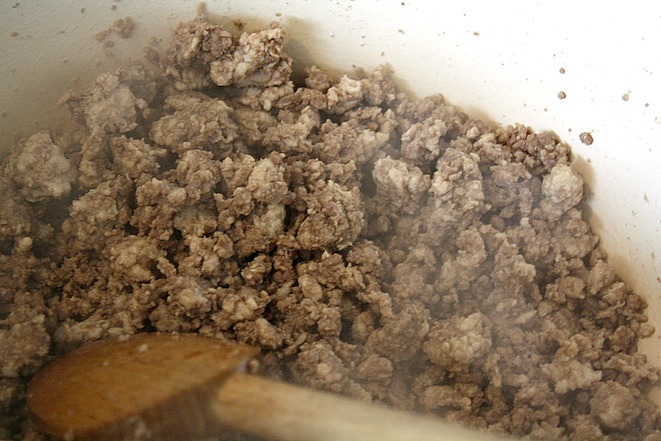 Continue cooking the meat until any liquid in the bottom has absorbed, and then transfer it to a heat-proof bowl. 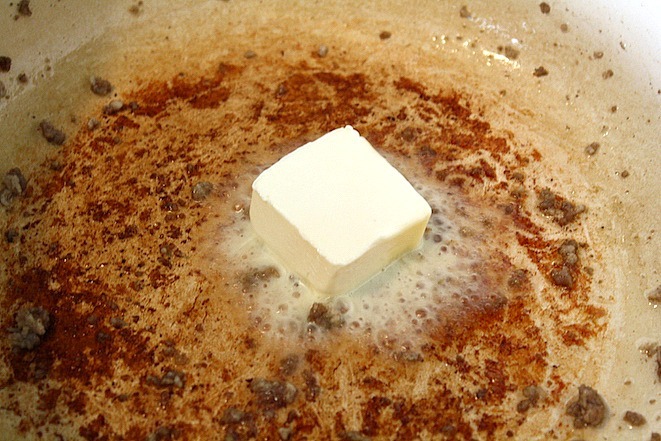 Add the (vegan) butter to the pot and then reduce the heat to medium-low. 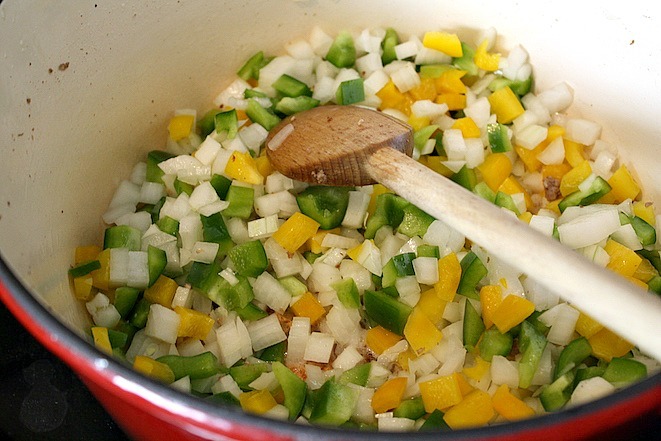 Now add the diced onions and peppers to the pan and then stir regularly until the veggies are softened. Once the veggies are softened, then add the garlic to the pan and cook about 60 seconds. 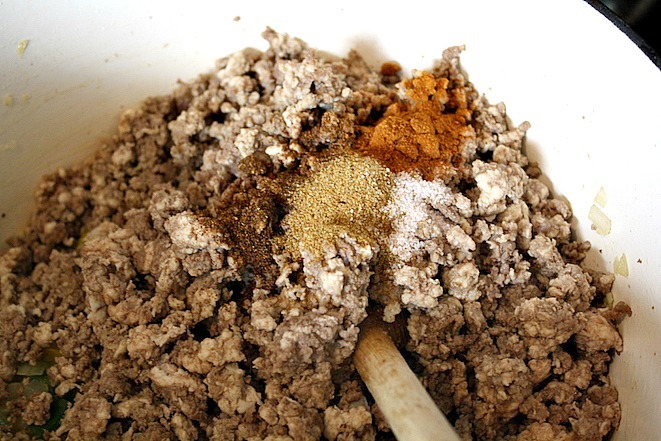 Now add the meat back to the pan along with 3 tablespoons chili powder, 1 tablespoon cumin, 2 tablespoons paprika, and then 1 1/2 teaspoons of sea salt. Stir and then cook for about a minute. Then add the jalapeños to the pot and stir to combine. The remaining Ultimate Chili ingredients are then added, so those include the cans of crushed and diced tomatoes, 3 tablespoons of Sriracha (or less if you don’t like the heat), 2 tablespoons molasses, 1/4 cup coconut sugar, 1/4 cup tomato paste, 1/4 cup of tamari, and then the black beans and kidney beans that have been rinsed and drained. Now stir to combine, and once the mixture warms up, reduce the heat to low, cover, and then let it simmer for 45-60 minutes. Your Ultimate Chili is officially done, so serve it up right away and enjoy! Top it with your favorite additions like green onions, tortillas, cheese, sour cream, or whatever you prefer and then happy chili eating!! 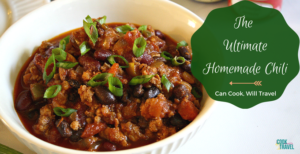 Don't let all of these ingredients stop you from enjoying this recipe, because hands down it's the best chili I've ever made. Each ingredient is perfect in this dish, and I know you'll love this gluten and dairy free version! Begin by first prepping your veggies by chopping the onions, peppers, mincing the garlic, and then draining and rinsing your black beans and kidney beans. Then heat a large pot over medium-high heat and add the ground beef and turkey to it. Break up the meat into small pieces and then let it cook for 10-12 minutes or until the meat is cooked through and just starts to brown. I knew the meat was finished, because the liquid had been absorbed. Then remove the finished meat from the pot with a slotted spoon. Reduce the heat to medium-low and then add the (vegan) butter to the pan. 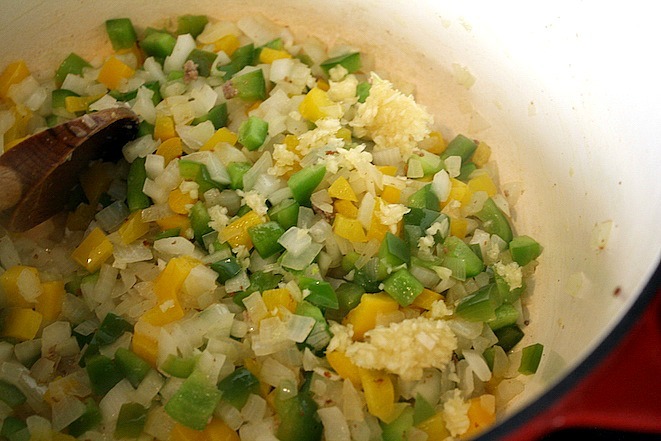 Once the butter is melted, then add the onions and peppers and cook for 6-8 minutes or until the veggies have softened. Add the garlic to the pan and then reduce the heat to low and cook for about a minute or until you can smell the garlic. Then add the meat back to the pot along with the spices including the chili powder, cumin, paprika, and salt. Stir and cook for another minute or so. 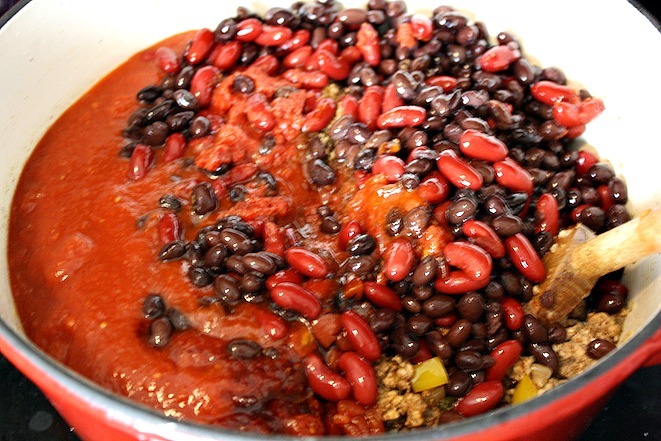 Then add the remaining ingredients including the crushed tomatoes, diced tomatoes, Sriracha, molasses, coconut sugar, tomato paste, tamari, black beans, and kidney beans. 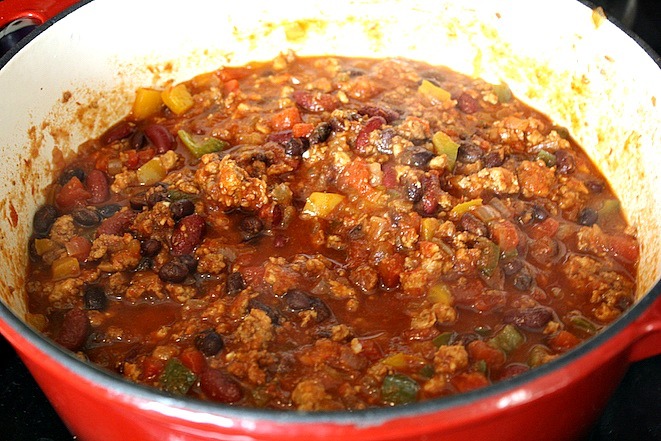 Finally stir the chili together and then place a lid on it and allow it to simmer for 45-60 minutes. Serve right away, top with your favorite toppings (like shredded cheese, green onions, sour cream, tortilla chips, avocado, etc. ), and then enjoy!! Quick Tip: I usually try to make a recipe mine, but this one was so incredibly good as it was. I did add an extra tablespoon of Sriracha and threw in a chopped jalapeño for some additional heat, and it was delicious! Previous Post: « DIY Hairspray with Vodka Is Awesome!